While this is not a shop per se, it is a group of very talented (mostly) Etsy sellers that put on craft fairs (often sponsored by Etsy) around the city relatively often. You can click on their website above or join their Facebook page to keep up to date with their latest sales. 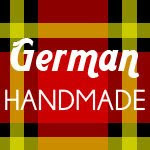 This shop is run by a member of the Etsy Germany Team and just recently opened in Haidhausen and sells products from a variety of talented local makers. This is a wonderful store on Frauenhoferstr. While not every single item in the store is handmade, most of the work is from talented local artisans including a paper lamp designer and ceramicist. 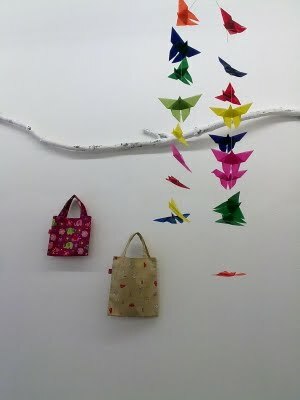 There are also lots of handmade clothing items. This is a gorgeous pottery studio, also in Haidhausen. It is run by Petra Fischer, a very talented ceramicist. Most days she is in the store herself, and it's nice to go in and just admire the artful way she displays all her items. I wrote a little post about the store on my blog Wahlmüncherin (with pictures) I'm sure there are many more and I am slowly discovering new ones, but I hope this is enough to get you started!